IDEA: "I want to start a flower farm. And a bouquet business." PRE-WBS IDEA STATUS: Lots of thought. This had been a personal passion for years and felt a bit like a secret. Some foundational research completed including where flower farm might exist and what equipment might be needed, but nothing tangible in place yet. 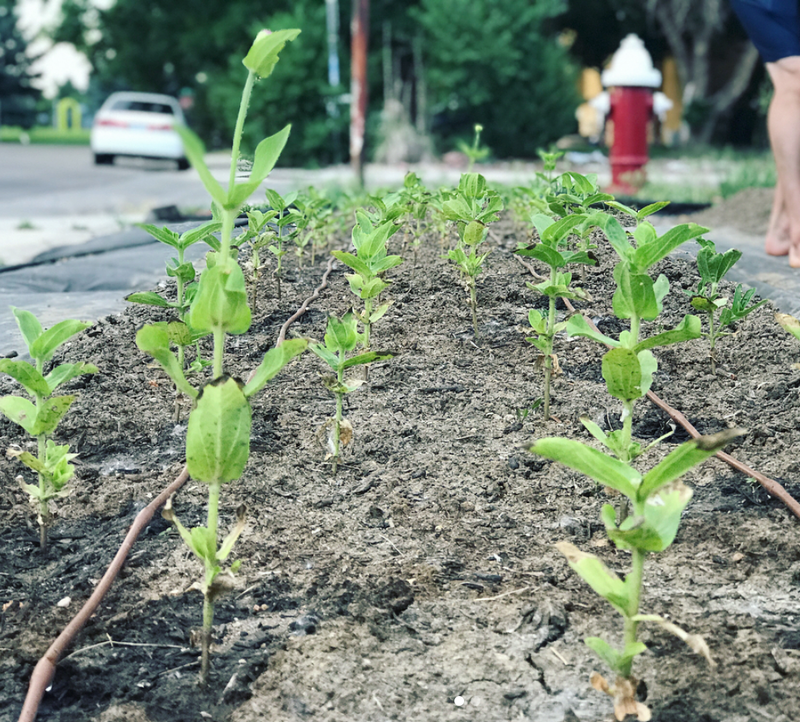 KEY MICROACTIONS: lay out smaller garden plot in front yard, begin #100days of bouquets project on Instagram, call flower wholesaler for pricing info, call friend about plot of land for farm, start making bouquets, make decisions about first seedlings. CLIENT REFLECTIONS: "I WAS SURPRISED BY HOW EASY THINGS FELT ONCE I GOT OUT OF MY OWN HEAD AND JUST STARTED PUSHING IDEAS AND ACTION OUT INTO THE WORLD...."
TO FOLLOW ALONG click here and here. COACH NOTES: This was one of my favorite projects because it represented a shift for my client and was about SUCH a creative and unique idea. She had years of experience and success in one industry AND had this secret-feeling idea to try something totally new. When she opened up during our session with her idea to start a flower farm, I could feel the energy shift - my own pulse lifted as I watched her light up talking about this love of flowers that she had. More exciting was that she'd already done a lot of preliminary work on it. She knew where her farm could be, what kind of equipment she'd need, who she needed to speak to next and what next steps would be. In addition she was nurturing a parallel idea to start a bouquet business in her area. All she really needed was the push of the Whiteboard Session to get her started. Our WBS became a space where she could slow down and honor this idea she had and let herself sit in the enthusiasm and excitement she had around it. We were able, too, to unpack a lot of the fears and doubts that had been holding her back from getting started - as she saw those stories written out in front of her she realized how possible it was to simply get started and take the microactions that we'd distilled down.